Today, we’re thrilled to tell you that “Frozen – Live at the Hyperion,” the new musical adaptation based on Disney’s blockbuster animated film, will officially open at the Hyperion Theater at Disney California Adventure park on May 27, 2016. The Creative Entertainment team, led by Walt Disney Imagineering Creative Entertainment Portfolio Executive Dana Harrel, is hard at work bringing to the stage a production that stays true to the emotional journey of Anna and Elsa while presenting a unique take on the material through elaborate costumes and sets, stunning special effects and show-stopping production numbers. To bring this vision to life, Dana and her team are collaborating with some of the most noted talents working in theater today including Director Liesl Tommy (Broadway’s “Eclipsed”), Writer Chad Beguelin (Tony Award® nominee for “Disney’s Aladdin” and “The Wedding Singer”), Musical Supervisor and Arranger Jason Michael Webb (Musical Director for Broadway’s “The Color Purple”), Puppet Designer Michael Curry (Tony Award® winner for “Disney’s The Lion King”) and more! 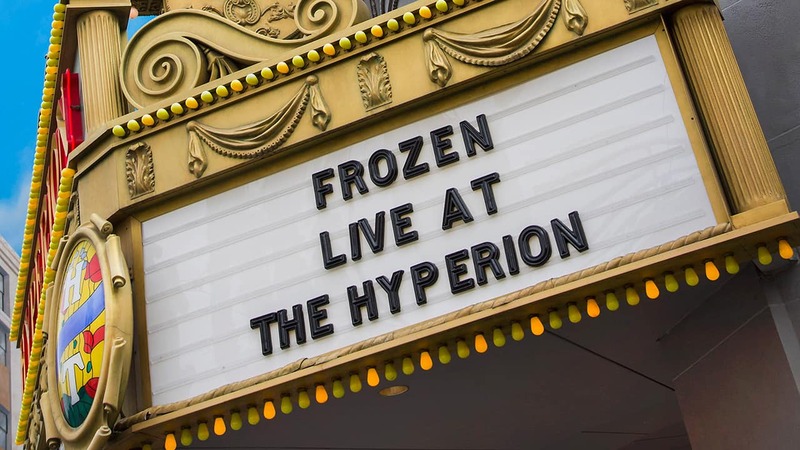 And be sure to keep your eyes here on Disney Parks Blog over the next few months, as we give you some sneak peeks behind the scenes of the production of “Frozen – Live at the Hyperion,” leading up to its grand debut on May 27. What are the Showtimes for the Frozen show on My 27, 2016? I’m going June 6&7 will I still be able to meet Anna and Elsa? I’m getting very worried by the fact that there doesn’t appear to be a plan for the MuppetVision building. I would hate to think that venues are being closed without any long-term plans for the future. I would hate to see the MuppetVision theater just sit their empty or go back to being used for short-term sneak peeks. Personally, I would love to see a new MuppetVision film. To be perfectly honest…I really hope that there is no improv in this new show. I personally got tired of all of the Genie’s improvising. The pop-culture references and general improvising started to take over the show. When I go to a Disney park, I don’t want to hear about pop-culture. And I really got tired of all of the Genie’s long-winded improvised jokes. The show would practically stop just so he could go on a long joke-filled rant, and it started to take away from the story. Will there be any Frozen shows in the parks after the sing along closes and the musical opens? We plan to visit during that time and my little girl is looking forward to seeing Anna and Elsa perform. Lana – Between April 17 and May 27, you’ll still be able to meet Anna and Elsa inside Disney Animation at Disney California Adventure Park, and you can see them perform in the nightly Paint the Night Parade at Disneyland. You’ll also enjoy the “Let It Go” sequence during “Disneyland Forever” fireworks, and don’t forget to take a cruise on Storybook Land Canal Boats in Fantasyland, where scenes from Arendelle have recently been added. Ok, if Muppet*Vision 3D is not returning, what will the space be used for? Really, there is a lot of dead space in that part of the park, the old Hollywood & Dine Building, the old Who Wants to Be a Millionaire Building and now Muppet*Vision 3D and soon the Mad-T area stage. Given all of that and everything that is closed at Disneyland, are we going to be able to see some lower ticket prices or more special events, something? Apparently people comment without reading the other comments. Muppet Vision 3D is not set to come back at this time… As stated above by original poster. I can not wait to see this I have love Frozen send I saw it at the movie theaters and have seen the sisters at DCA over and over again most of the time I see them at less 5 to 7 times in one day. Will they Fastpass the show to help with crowd control like they did at the end of Aladdin? Some people claim that Frozen is a “fad”, but that is not true. Was The Lion King a fad? No. Frozen and The Lion King were both unexpected hits when they were released. When The Lion King was released in 1994, it was a huge success and was seen everywhere in the Disney parks, (both in merchandise and attractions) And the same thing is now happening with Frozen. Even today, The Lion King is still a celebrated franchise used in the parks. The Lion King quickly became an instant classic upon release, and the same thing has happened with Frozen. Like The Lion King, Frozen has become an instant classic. It is *not* a fad. Yes can please confirm if Muppet*Vision 3D will be returning? Muppet*Vision 3D is not scheduled to return at this time. 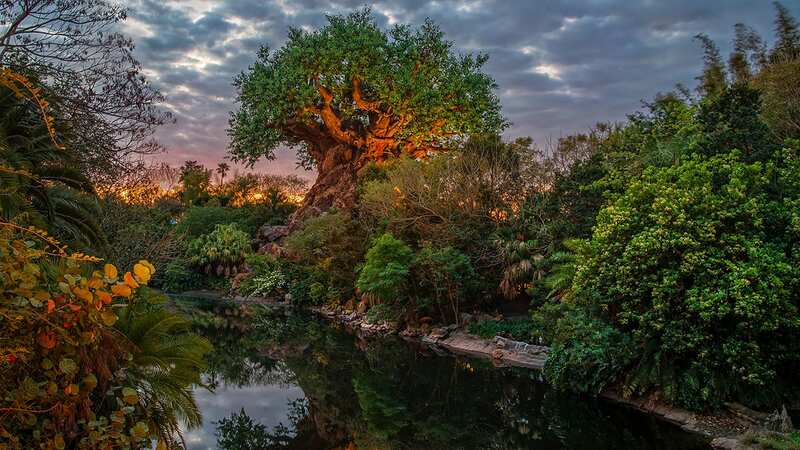 I eagerly await the behind the scenes videos, hoping to see many of my favorite talents, on- and off-stage, from other Disney theme park productions taking an active role in this show. Fingers crossed! And the slow thaw of Frozen as a parkgoer draw officially begins…. Any chance there will be an improv component like Aladdin? Isn’t the last Friday of May usually 24 Hour Disneyland/DCA? Can you tell us if we can expect Muppet*Vision 3D to return after the Frozen Sing-Along ends? Does this mean that Muppet*Vision 3D will soon be returning to the park?